Dance music legend Fedde Le Grand is keeping his hot streak alive in 2018 with his fourth release of the calendar year. In collaboration with Russian duo Funk Machine and UK urban music veteran General Levy, ‘Flex’ is out now via Darklight Recordings. Le Grand is back with a mega "Flex" on this Funk Machine and General Levy collaboration designed to get your blood pumping from dusk 'till dawn. It's a club-ready anthem both brash and booty-full, and it's as funkdafied as its list of creators would suggest. "Flex" is the sound of neon lights turned up to full brightness. London's Levy on the mic adds a bit of Caribbean flair, but the drop is 100 percent pure electro grit and groove. If you've been paying attention to Le Grand's catalog through the years, you may recognize these synths as a mirror to his single "Don't Give Up," the production completely new and refreshed. 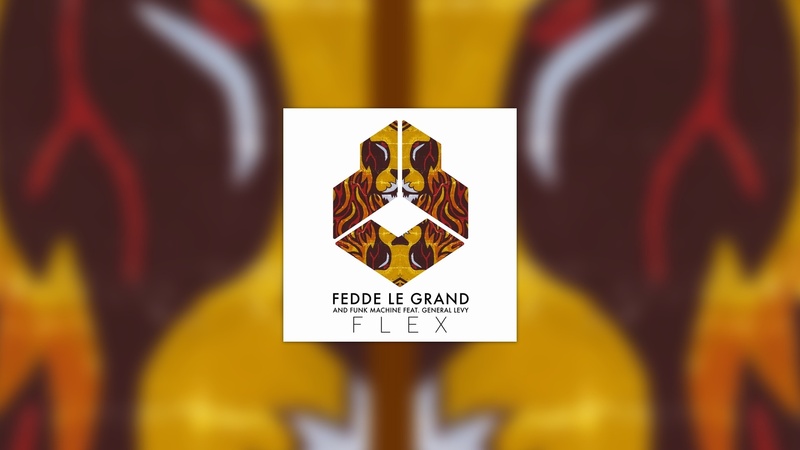 With this new addition to his catalogue, Fedde Le Grand is ready to bring the heat all summer long with ‘Flex’. Help create the lyric video of Flex! Next to eternal fame you get the chance of joining Fedde across Holland on June 2nd and be part of The Flying Dutch!